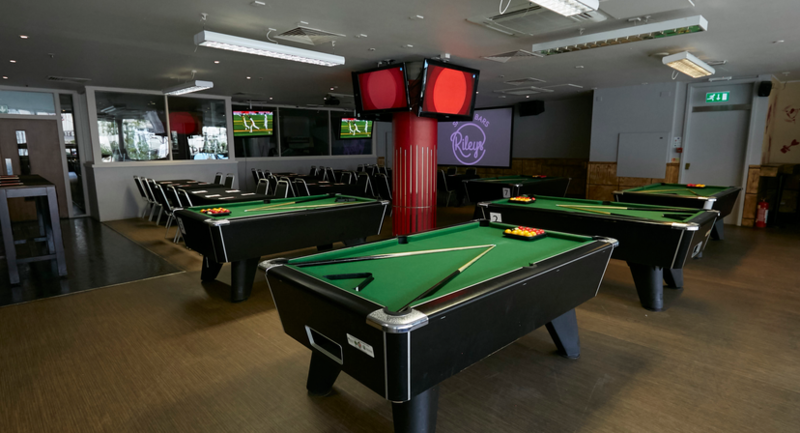 Rileys has been the home of sport since 1878 and is extremely proud of its heritage. 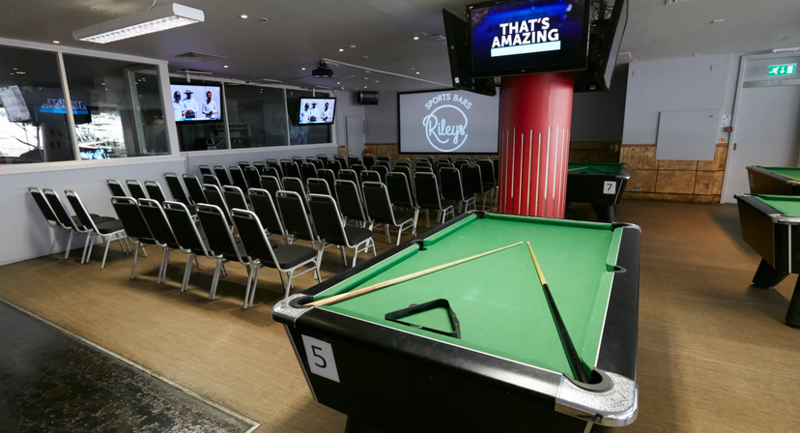 Whether corporate groups are looking to cheer on their favourite teams over a private dinner, host a daytime conference, or treat their staff to a team building event, Rileys’ mission is to give them the experiences they deserve. 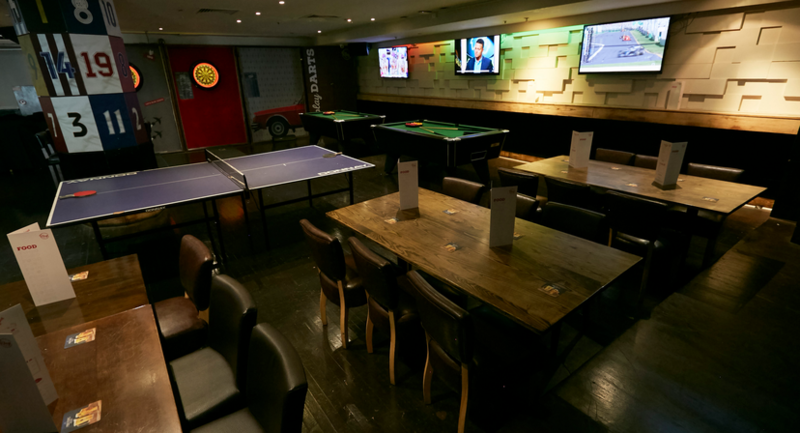 It goes without saying that Rileys is ideal for sports lovers, but the versatile spaces provide the perfect location for groups looking for a vibrant venue for corporate celebrations and parties with plenty of atmosphere. 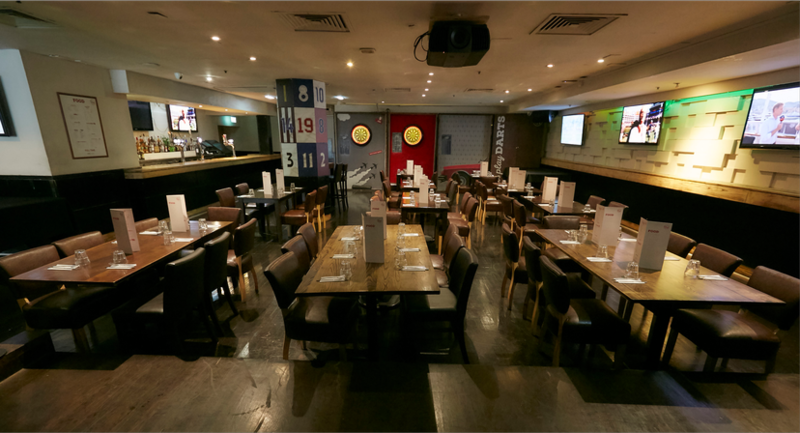 The ground floor Fanzone can be hired for up to 100 people for seated dining, or up to 150 people for mix and mingle events with finger food and drinks. It has a stage area and one of the largest screens in the city, making it multifunctional as a conference space for up to 150 people theatre style with corporate presentations. It also features a DJ booth for use at company bashes and Christmas parties. Also on the ground floor is the restaurant for up to 48 people for seated dining, or up to 60 people for casual and relaxed finger food and drinks soirees. 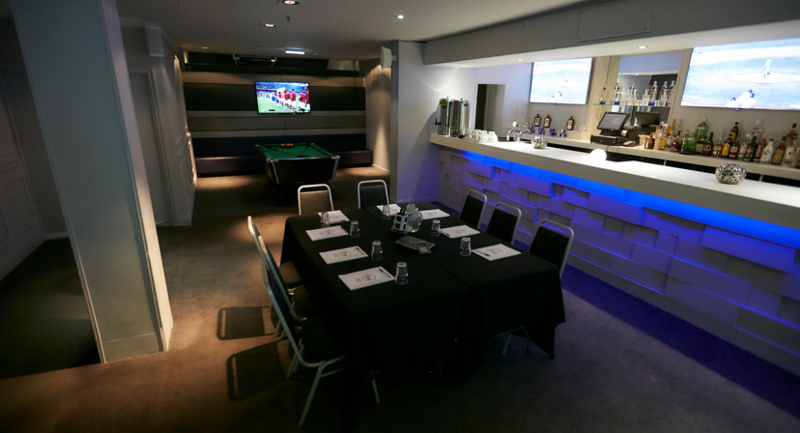 The first floor Players Lounge has its own private bar, 3m HD screen, three plasma screens, and all the essentials for private meetings and dinners. It can seat up to 30 people for meetings in boardroom or u-shaped layouts, or up to 50 people theatre style. For standing events up to 80 people can comfortably be facilitated. 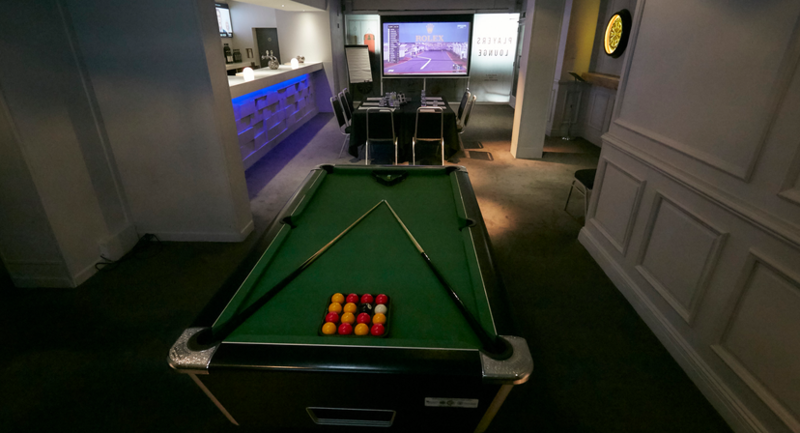 The Games Room on the first floor is the largest single space in the venue, for up to 180 people for theatre style presentations, up to 100 people for seated dining, and up to 250 people for standing events with buffets or just drinks. Rileys Haymarket is based in the heart of the West End, just a short stroll from Piccadilly Circus and Leicester Square tube stations. With a capacity of nearly 600, it’s the biggest sports bar in London. The entire venue can be hired exclusively for corporate events and parties. Flexible space with its own stage area, DJ booth and one of the largest screens in the city. A flexible space that can be used for board meetings or networking and drinks events. With it's own private bar, HD Screen and 3 other plasma screens. The largest single space in the venue with space to hold conferences, private dinner events and parties. 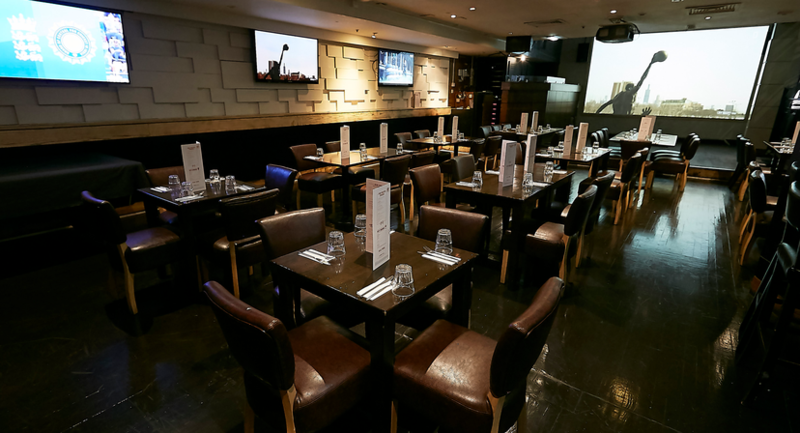 A casual dining space suitable for informal dinners and drinks receptions.